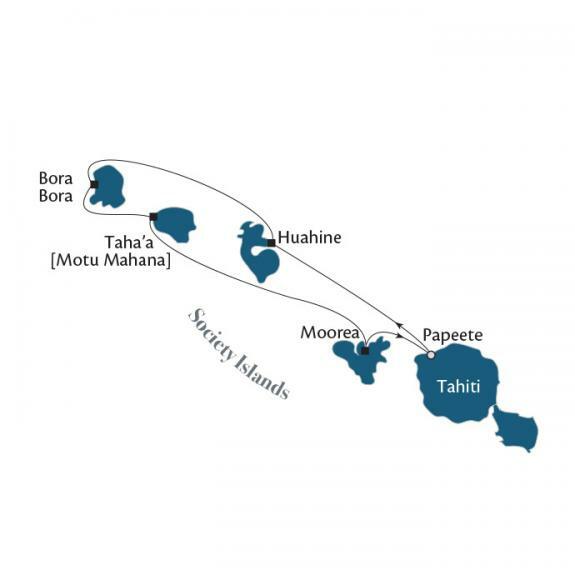 This 7-night itinerary is perfect for those who want a core Polynesian experience. Call on the Islands of Raiatea and Taha'a with their reef-bound lagoon's where you'll enjoy a full day of exploration. Then sail to Beautiful Bora Bora, and her siren sister, Moorea. There's only one word to describe these islands - Paradise! Visit the Society Islands, including Huahine, with its stunning crystalline lagoon. The Tuamotu Archipelago awaits you next. Comprised of very low-lying atolls, none of the chain's many islets rise more than ten feet above sea level. Visit Rangiroa, home to the second-largest lagoon in the world and noted for its dive sites. 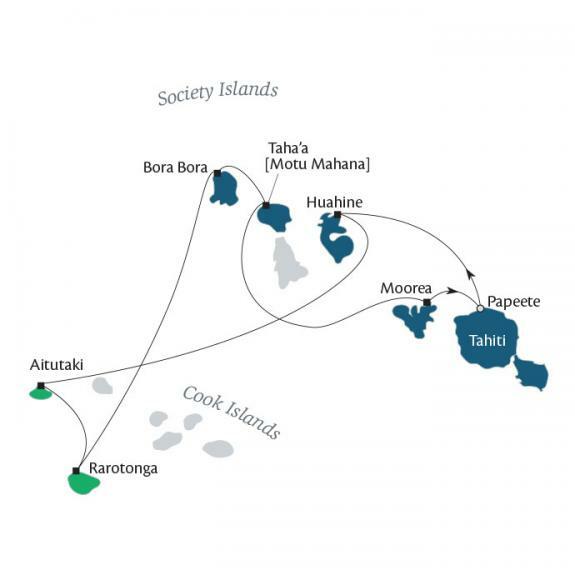 Sailings on this South Pacific Odyssey, you'll discover the Cook Islands. Arid Aitutaki is so flat that you can spot the ocean from nearly any point on the island, in sharp contrast to sister island Rarotonga's jagged peaks and deep valleys. 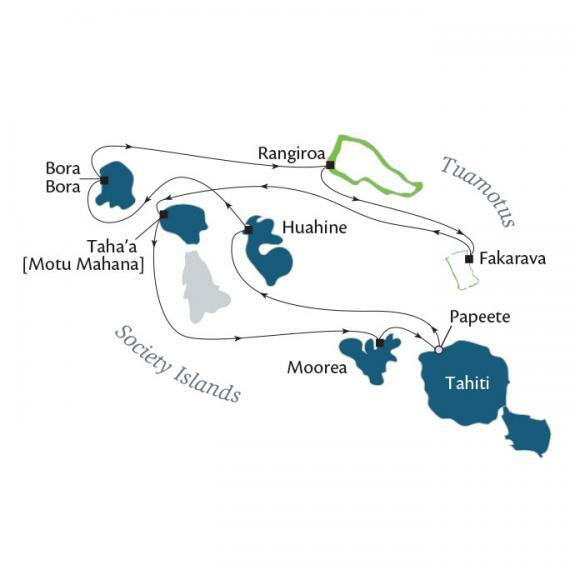 Sailing again back to the Society Islands you'll explore the beauty of Bora Bora, Taha'a and Moorea.